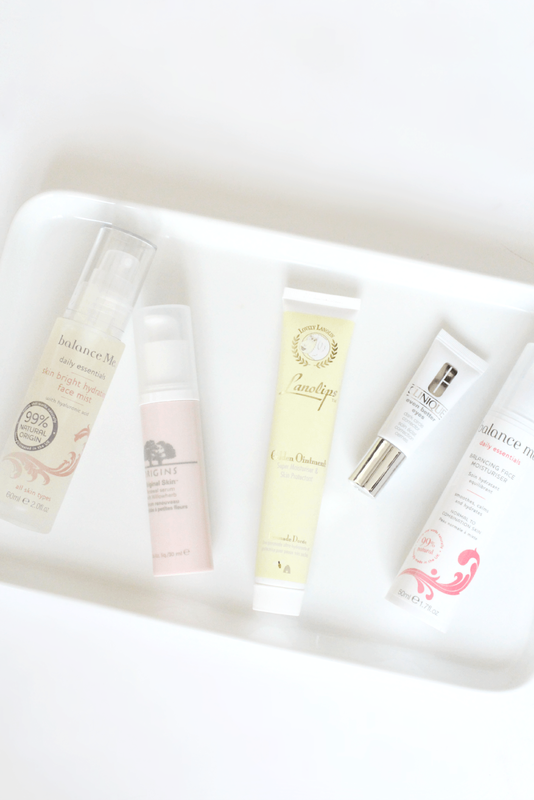 There’s been some new additions to my routine recently in an attempt to sort out my complexion, as I’m hoping to turn it from the blemish prone mess that it is now into something more acceptable. Let’s have a look at what’s been helping, shall we? I’ve always been a fan of natural products, as I know they do wonders for my skin, so when the opportunity popped up to try more Balance Me (one of my favourite skincare brands of all time) I knew I had to stock up. 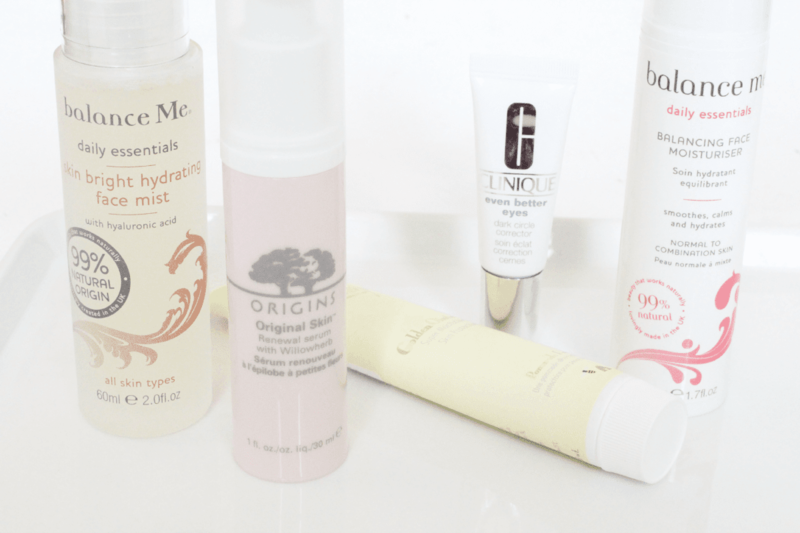 New to the stash is the Balance Me Skin Bright Hydrating Mist. I do love a good mist, even though I often forget to use them, but this one is exceptionally refreshing and mood-lifting, if that’s possible for a skincare product. It’s just a really lovely one to use! I also jumped at the chance to replace my empty Balance Me Balancing Face Moisturiser, as I know it works wonders on my skin. If you have combo or irritated skin, then run and buy this as it really is a dream for soothing, hydrating (but not too much for oily skin) and restoring the balance in skin that’s having a bit of a freak out. Next is a serum that I only started using the other day, but adore already, which is the Origins Original Skin Renewal Serum. I’ve seen this kicking around blogs as it’s a new release and the reviews have been really positive so far! I definitely agree with them though, as it sinks in fast and feels super smooth on the skin. I’ll report back once I’ve used it for a while, but it’s a plus from me! Because I have dreaded dark circles, and my Zelens Eye Cream costs a bomb, I’ve been using the Clinique Even Better Eyes Dark Circle Corrector during the day to give my peepers a boost. It feels really nice and does soothe the eye area, so I am rather liking it so far! Finally, a lip balm. Well, you can use it wherever really, as it’s one of those multi-use balms, but the Lanolips Golden Ointment has been one I’ve been applying a lot recently. It’s a mix of lanolin, manuka honey and vitamin e which combine together to protect and hydrate lips. It’s quite thick, so I use it overnight and wake up to a super smooth pout which you can apply lipstick to perfectly. What have you been trying or loving this week? You can win the rose gold GHD styler and hairdryer in my latest giveaway – ends tomorrow!